If $350 for the newer Galaxy Note 8.0 is too much and you're looking for something a bit bigger anyway, you'd do well to head over to the geek-friendly Woot.com sometime today. 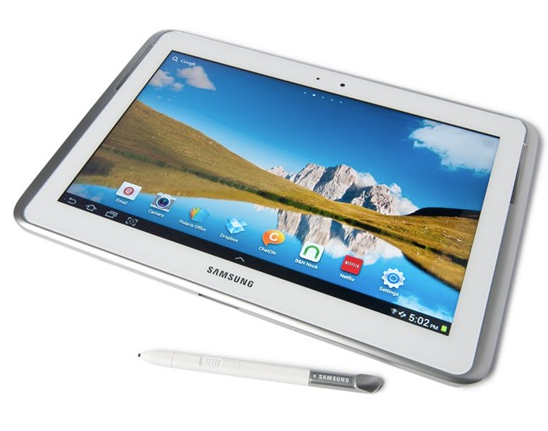 They're offering the 16GB WiFi Samsung Galaxy Note 10.1 for $299.99, although it's a refurbished model. That's a solid $200 off the retail price, though you can certainly get it for less if you're prepared to hunt (Amazon has the new 16GB version for $449). As with all regular Woot sales, the tablet is offered today only, and regular shipping to the US is a flat $5. When Ron Amadeo reviewed the Galaxy Tab 10.1 back in August, he found the software solid (with special emphasis on the apps that take advantage of the Wacom digitizer and S-pen stylus) but the hardware lacking in nearly every category. To put it bluntly, the Note 10.1 is a hulking plastic mess of a tablet, and unless you've absolutely got to have that pen functionality, almost anything would be better. Still, if the Note 10.1 is what you want, I don't think you'll find any better deals at the moment. 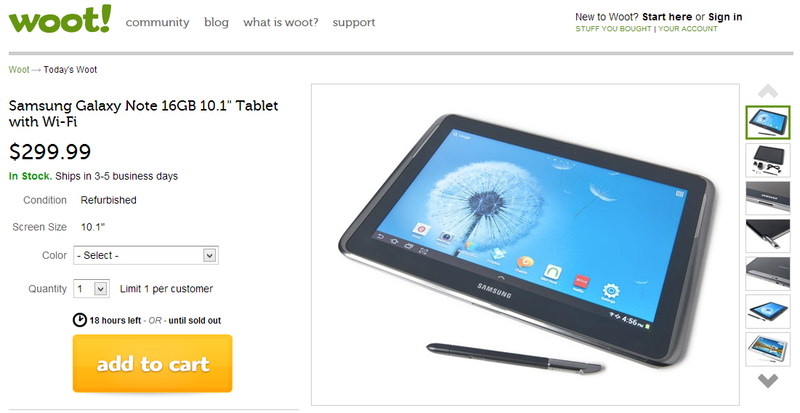 Exactly two months ago, Woot offered the Galaxy Note 10.1 for $329.99 - it looks like they haven't sold through their stock. That means there's at least some chance that the tablet will appear in one of their Woot-Off closeout sales. You could wait it out if you're willing to gamble, but those who want to take advantage of the sale today are encouraged to hurry. There's a limit of one tablet per customer, and it's offered in both grey and white. Happy shopping.